How was your weekend? Mine went pretty well. Friday I went to a birthday dinner at Benihanas and then saw the movie Max Payne with the crew. In my opinion the movie was uber corny, save your money and see something else. Saturday I did the makeup for one of my best friends, her mom, and her grandma. They were attending a wedding and wanted to look fab. My bestie came over to assist with the hair while I did a makeup. They all looked amazing! I can't wait to show you the pictures...I remembered to take a before and after this time. Sunday I chilled and went with my friend to a baby shower...there was so much good food but I couldn't eat it all since I stuffed myself at an Indian buffet right before! In the meanwhile, I'll make do. Luckily I have some posts I've already done! Here's one I did back in August but forgot to post, lol. Just wanted to share with you some of the items that i've been loving recently. -MAC Spiced Chocolate quad--the last two brides I worked with both love this look! It's great for fall weddings. -Bing Matteen--ummm used it in like the last 4-5 shoots and shows i've done, lol...I can't get enough of it! -MUFE No. 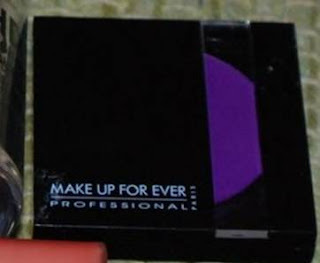 92 eyeshadow - this purple is to die for...I can't stop wearing it! -MACY's cargo khaki pants - these pants are a God send! I love when my bottoms fit loose...it feels like I'm wearing pajamas! -The prison drama Oz - this is a really old HBO show about the lives of male prisoners in a new type of prison...it's so good! The show is really old but they've been playing episodes every night at 11pm. My boyfriend and I are hooked! I just got him the entire 6 dvd box set for his birthday. -My boyfriend--lol, that one was for you Mike! My MAC Goldmine e/s, any ONE of my lip glosses, MAC Prolash, my boyfriend too lol, and The Shield- I got him the 1st 5 seasons on DVD last year for xmas. i'm random so i love random posts! ahhahaaha! so funny we both love the volcano tacos at taco bell! can i tell you that brash is my new bff? love it! i just did a post on two things that i'm loving right now.. beyonce's new song and some nars eye shadow! i am loving fall weather!!! boots, leggings, cute pea coats and just coats -- bundling up and warm cocoa..
and i loveeee that chocolate MAC quad!!! AHHH Oz! Damn i miss that show! LOL! I <3 the tricks they do at benihanas, so sad that the guy who started it died a couple of months ago. You shouldn't have done food first. Now all I can think about is getting one of those TACOS! I love Forever21's cardigans and open knit tunics right now!!!! That taco looks delicious!! I love anything spicy too!